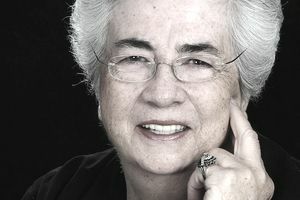 Margo Armstrong spent most of her professional life writing documentation for high-tech corporations. Now semi-retired, she continues to travel the USA in her motorhome (19 years full-time, the last 5 years solo) exploring, writing ebooks, and sometimes workamping for a season to get the true flavor of a locale. Her focus is on giving you an overview of the RV Lifestyle as a retirement option. Margo is a writer, publisher, and founder of The Maxwell Group, a small publishing company for RV lifestyle, personal investing tips, and life enhancement books. With more than 40 years in the writing/publishing field, Margo specializes in providing information to readers interested in the RV lifestyle as a retirement option or just seasonal travel. Margo is often invited to give her seminar entitled "Writing & Publishing eBooks for Fun and Profit," based on a formula described in her book, "Writing and Publishing eBooks: One Person's Journey. To find out more about the RV lifestyle, visit Margo’s website, RVLifestyleExperts.com and her blog, MovingOnWithMargo.com. Margo can be reached via email: Margo @ TheMaxwellGroup.net.